If you’ve decided that Kauai is the right Hawaiian island for you, this helpful list will aid you in finding ways to stretch your vacation budget with FREE, or nearly FREE, things to do on the island. Explore the Grand Canyon of the Pacific – Waimea Canyon is a sightseer’s paradise – a mile wide, 10 miles long and more than 3,500-feet deep. Take in the stunning views from the lookouts or hike into the crater. The Kalalau Lookout is especially memorable with an unforgettable view of the once cultivated valley that descends 4,000-feet to the Pacific blue. After sightseeing, enjoy a picnic lunch at the top of the crater in Koke‘e State Park. Hike Amid Rainforests and Lush Valleys – Kauai is a hiker’s dream destination, with spectacular hiking trails that immerse one into the magnificence of Kauai’s verdant wilderness. Hikes range from comfortable walks to challenging treks into hidden valleys streaming with waterfalls. 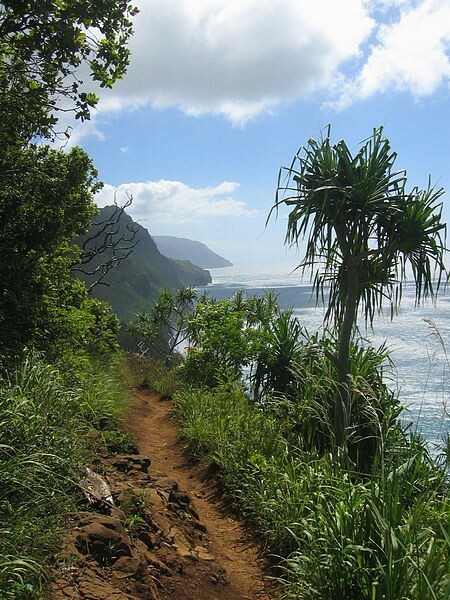 A must-do for any serious hiker is the 11-mile Kalalau Trail along the majestic Napali Coast. See Kauai’s Cherished Sites – Prince Kuhio Park was home to Prince Jonah Kuhio Kalanianaole (1871-1922), beloved as the “People’s Prince” for his tireless work on behalf of Hawaii’s people and the last royal heir to the Hawaiian throne. Located near Lawa‘i, this historical setting features the foundation of Prince Kuhio’s home, a royal fishpond, a shrine where offerings were made, and heiau (ancient place of worship) where the kahuna (priests) meditated and lived. Alekoko Fishpond was built hundreds of years ago for a young chief and once covered 40 acres that was marked by a 2,700-foot long stone wall. Located in the Huleia National Wildlife Refuge that is a habitat for endangered Hawaiian birds, the fishpond is also known as Menehune Fishpond because legend is that it was built by the mythicalmenehune (little people) of Hawaii. The Wailua River is a beautifully scenic area that was once a sacred place in ancient times and reserved for the kings and high chiefs of Kauai. Near the river’s mouth in Lydgate State Park are the remains of a heiau that was a place of refuge for those who had broken a kapu (taboo). 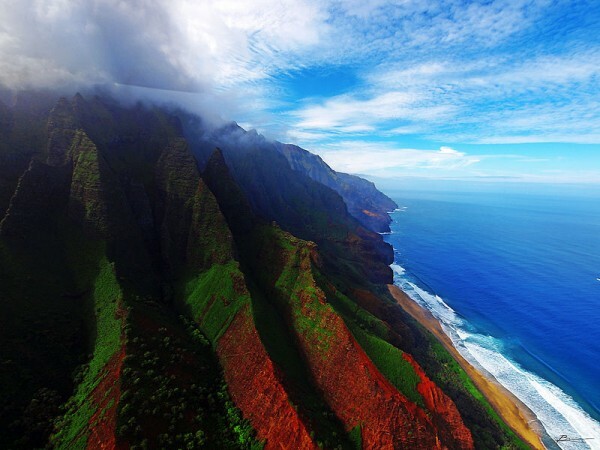 Enjoy Kauai’s Culture – Hawaii is the only state with its own music, language and dance. On Kauai, the host culture of Hawaii can be enjoyed for free or at little cost. Many hotels offer free hula performances, torch lighting ceremonies, and lei-making courses, among other cultural offerings. Coconut Marketplace in Kapa‘a and Harbor Mall in Lihue stage free hula shows every Wednesday. A Birdwatcher’s Paradise – For a nominal entry fee, the Kilauea National Wildlife Refuge is a uniquely special setting for bird lovers. Framed by breathtaking views of Kauai’s north shore, Hawaii’s endangered birds are seen nesting in the cliffs, including the Hawaiian Gallinule, red-footed boobies, tropicbirds, albatrosses and frigate birds. Look to the ocean and you have a good chance of seeing Hawaiian monk seals, green sea turtles and Hawaiian spinner dolphins. A River Runs Through It – The only navigable rivers in Hawaii are found – and enjoyed – on Kauai. Rent a kayak and leisurely paddle along one of the gentle rivers bordered by lush, tropical foliage. Or, journey by riverboat up the Wailua River to the famous Fern Grotto. In this beautiful, jungle-like setting, a natural amphitheater has been formed creating remarkable acoustics. Discover Kaua‘i’s Quaint Towns – Koloa is a historic 19th century plantation town that was the site of Hawaii’s first sugar plantation. Every July the Koloa Plantation Days celebrates the town’s proud heritage. Visitors will find restaurants and specialty shops amid some of Hawaii’s oldest buildings. Hanapepe exudes an old-fashioned small-town appeal, with its plantation-era buildings and slow-paced lifestyle. Every Friday evening, Hanapepe’s nine galleries open their doors for a night of artistic enjoyment. Stroll along Main Street to see fine art and listen to live entertainment. A Garden Isle Waterfall Spectacular – Kauai’s waterfalls are a year-round display of nature’s ability to keep the Garden Isle green and vibrant. In Lihu‘e, one can drive right up to picturesque Wailua Falls. If the 80-foot waterfalls look vaguely familiar, it was a fixture in the opening credits of the 1970’s TV show Fantasy Island. In scenic Wailua, Opaeka‘a Falls is the island’s most accessible major waterfall as it cascades into a hidden pool. And it’s a wonderful setting to take photos. Opaeka‘a means “rolling shrimp,” which were once abundant in the stream. Experience Kaua‘i’s History – The telling of Kauai’s story can be experienced in museums offering intriguing exhibits and artifacts. In Lihue, the Kauai Museum tells the island’s story from its formation and the arrival of the first Polynesians to more modern times with the start of the sugar plantation, and the various ethnic cultures that have contributed to its history. Also in Lihue, Grove Farm was established as one of Hawaii’s earliest sugar plantations, but today offers a museum display of Kauai’s heritage highlighting the old sugar days and through the monarchy to statehood. Waioli Mission in Hanalei is where the Wilcox family, one of Kauai’s most influential families, moved to the island in the 1800s. This historic New England-style home was shipped in pieces from Boston around Cape Horn and today stands as a showcase of koa wood furniture and other artifacts from that era. Hit the Beach – Kauai has more than 50 miles of gorgeous white sand beaches to choose from – more beach per mile than any other island in Hawaii! Altogether, 43 white sand beaches beckon to wile away the day. Whether enjoying the fun at Po‘ipu or tossing a towel down in a secluded cove at ‘Anini, Kauai’s range of beaches matches the island’s diversity. For the more adventurous, rent a snorkel and see the wonders and undersea beauty of Kauai’s marine world.